Knowing your farmer is the best assurance that the food you buy is responsibly grown. The Snoqualmie Valley Farmers Cooperative (SVFC) believes that farmers should work in harmony with nature and leave the small portion of the planet over which they have stewardship in better condition than when they found it. This commitment is based on the integrity of the farmer and serves as a bridge for consumers and farmers alike to better know the agriculturists that strive to create healthy communities, local food security, and food sovereignty. Farmers who sign this Commitment agree to adhere to the principles outlined below. They agree that an agent of the SVFC may inspect, by appointment, the farm to ensure that these principles are followed. If any person visits a farm and believes its practices do not honor this Commitment, they may contact the SVFC to register a complaint. USDA created a National Organic Program, which defined and regulated the agricultural uses of the word organic through a set of national organic standards. Signing this Commitment does not entitle a farmer to represent their products as organic. However, the SVFC believes that certified organic farmers and farmers that sign this Commitment have far more in common than in conflict. Our commitment covers four areas: Healthy Land & Livestock, Healthy Economy, Healthy People, and Food Safety. - Create beneficial habitat for wildlife and encourage ecological biodiversity. 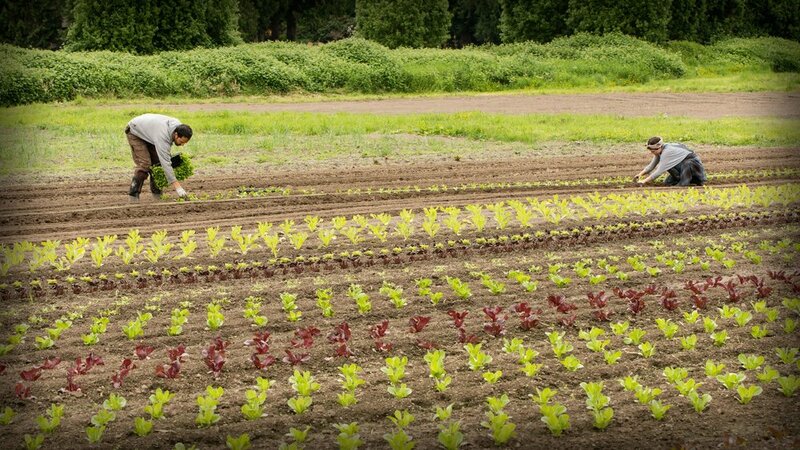 - Work in cooperation with other local farmers to promote a more healthy and just regional food system. - Encourage the distribution of unsold but edible food to people who need it. The SVFC is committed to selling healthy and delicious food that can be consumed safely. We believe that it is possible to sell safe food without compromising our ability to practice sustainable farming methods or to support ecological diversity. The SVFC farmers follow standards required of their particular operations by the Food Safety Modernization Act (FSMA), which establishes science-based standards for the safe growing, harvesting, packing, and holding of fruits and vegetables. This commitment is based on the integrity of the farmer to both understand how FSMA standards apply to their operation and comply with any applicable standards by their respective deadlines established in the law.